Jonathan Joseph has a wealth of experience in managing both adult and paediatric ear problems. He has close links with services providing hearing tests and balance testing to provide an all-inclusive service. This is most commonly in children although can occur in adults. It is an accumulation of fluid in the middle ear, behind the ear drum which causes a conductive hearing loss. It is thought to be due to blockage of the Eustachian tube which connects the middle ear to the back of the nose. In children there are often adenoids obstructing the back of the nose and the Eustachian tube is less mature, which is why it is more common. 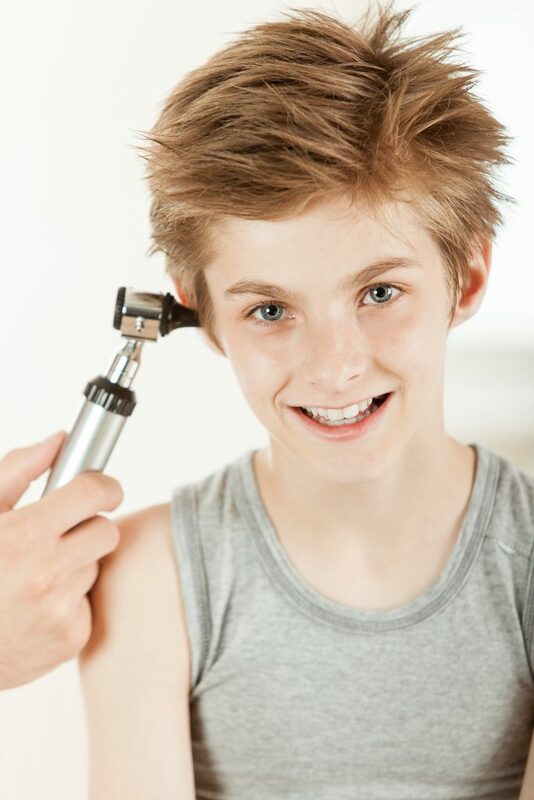 When it does not resolve spontaneously, glue ear is usually treated with the insertion of ventilation tubes (grommets) through a hole in the ear drum. This is done under a short general anaesthetic, although it can be done under local anaesthetic with the patient awake in adults. There are many causes of dizziness, which can be related to the inner but also to various other parts of the complex balance system, including the eyes, the legs, the brain and the spinal cord. There are many interactions within the system between the different parts. The key element of any consultation with a dizzy patient is to work out which parts are the main cause of the problem. This is done through taking a thorough history and with careful examination. The most common inner ear causes of dizziness are acute labyrinthitis which causes severe vertigo and nausea for up to 2 weeks, posistional vertigo (BPPV) which causes intermittent, short-lived vertigo when the head is in certain positions and chronic labyrinthine conditions which cause episodes of vertigo for months and even years. When there is a diagnostic challenge balance function tests will be arranged to further investigate the problem. These are usually caused by infection or trauma. If they do not heal spontaneously then surgical repair can be performed. This is normally indicated for persistent infection and discharge but can also help improve a conductive hearing loss. This is very common and can be easily removed by microsuction in a few minutes in the clinic. This can be a very challenging condition, the cause of which is not fully understood. It is often, but not always associated with hearing loss. Tinnitus simply means a noise in the ear. The sound is created by the ear itself. One of the theories to explain the tinnitus is that the delicate hair cells in the cochlea (inner ear), which will move when there is a sound stimulus from outside, move spontaneously. This sends a signal along the nerve to the brain as though there is a sound. Sometimes a MRI scan of the inner ear is recommended. Apart from that, treatment centres around acceptance of the sound and the use of distraction techniques to take the person’s mind off it. Having music or the radio on in the background often helps with this. There is now a tinnitus app that plays particular sounds which help people cope with the noise. For those who really struggle there are various psychological treatments, such as cognitive behavioural therapy that can be very effective.